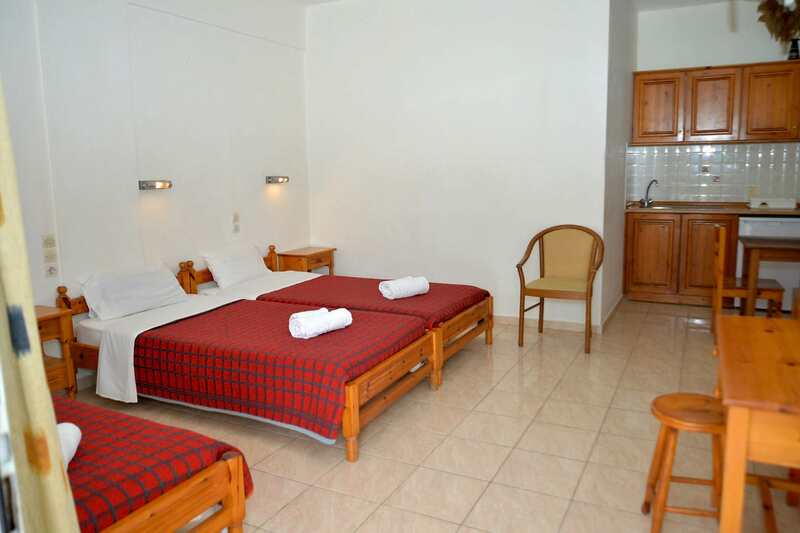 Santos Family Apartment no 28 can sleep three or four people, the bedroom includes single beds, an extra bed can be added if requested. There is a fully equipped kitchen, in case you want to have something homemade. 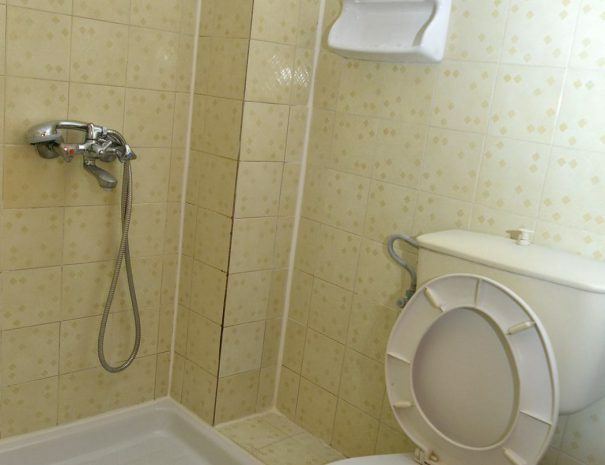 The bathroom has a hairdryer for your convenience. 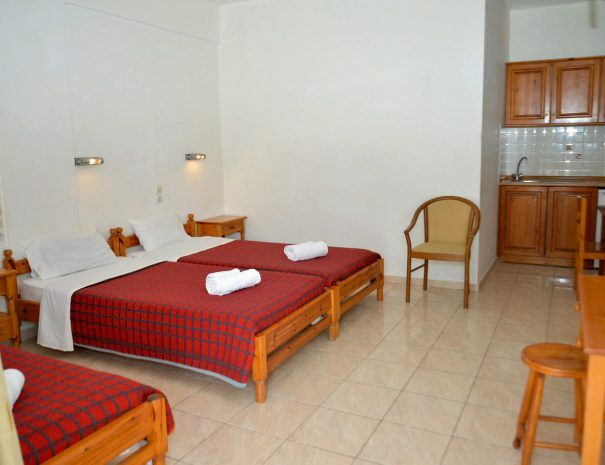 It is also equipped with air conditioning, Satellite Tvs and free wi-fi that will keep you up to date while you are away, on your vacation. For our customers that travel by car, we offer free parking areas. 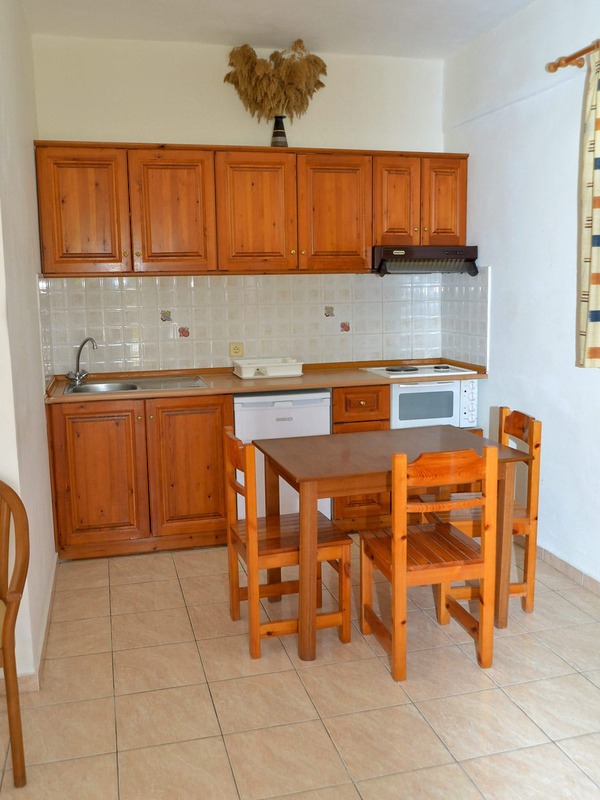 Santos Family Apartments are situated in the resort of Dassia, in Corfu Island. Located just 100 meters from the beach or just 3 minutes on foot! 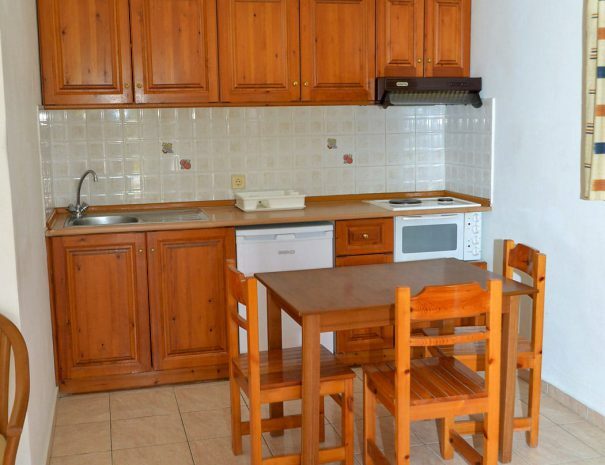 Santos Family Apartment no 28 in Corfu Island, is located 100 meters from Dassia beach, or just 3 minutes on foot. Family Apartment no 28 has a Fully Equipped Kitchen, a great facility which will make you feel like being at home, ideal for long stay holidays. The bus station is just 300 meters from Santos Familiy Apartments, use the blue bus no 7 to reach Corfu Town in less than 30 minutes. Our Family Apartments are equipped with high-speed internet access, so you can stay connected during your vacation in Corfu.